For 88 years, the imposing, eye-catching Sonoma County National Bank building has graced Petaluma’s most prominent corner: Washington Street and the Boulevard. Five years ago, the building began a new life. 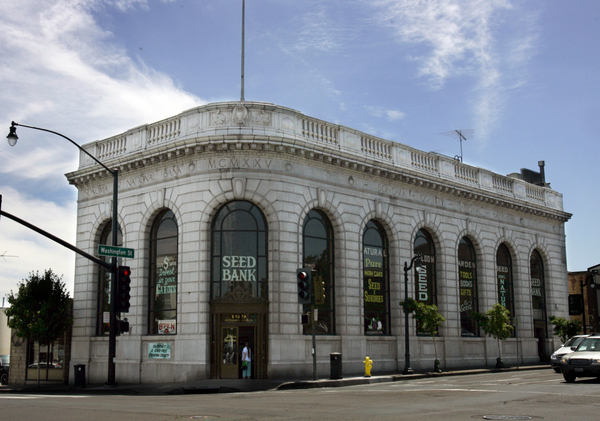 It’s still a bank but now, instead of greenbacks and coins, the currency is seeds and the firm is the Petaluma Seed Bank. The man who brought the seed bank to Petaluma, Jere Gettle, began gardening as a child with his grandparents. In 1998, noticing old, heirloom seeds were disappearing from seed companies, he put out his first catalogue, printing 250 copies, from his bedroom. The first Baker Creek Heirloom Seeds catalogue offered 50 types of seeds. The company now offers more than 1,600 varieties and this year sent out 350,000 catalogues. 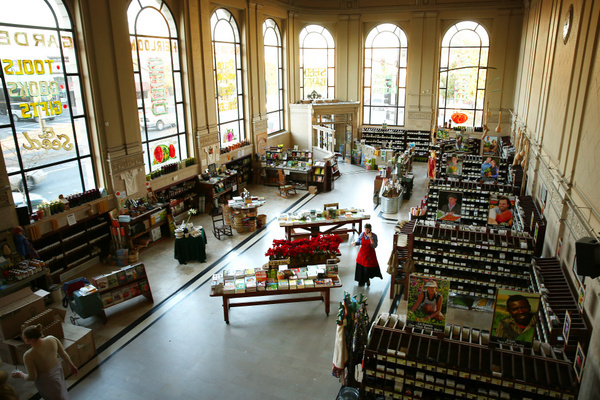 Ellyn Mavalwalla, who works at the Petaluma Seed Bank, explained the company began in Missouri but Gettle noticed many of his online sales were coming from Northern California and started looking to expand. A friend of Gettle’s told him there was a bank for lease in Petaluma. “He really liked the play on words,” Mavalwalla said. The building has been carefully and thoughtfully updated. It retains all its elegance: high ceilings, marble floors, brass railings and tall arched windows. But now, instead of bank tellers in brass cages, customers can select seeds, books and other garden-related items, though they do get to pay under a sign that reads Cashier. The Seed Bank also retains the original bank’s commitment to the community. Mavalwalla said the basement was designed as a place for meetings and gatherings and the Seed Bank honors that, hosting clubs, classes, talks and lectures. The original bank vault pays tribute to the bank tradition as well: it’s now a long-term seed storage facility. 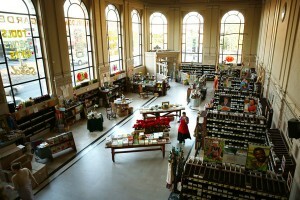 The Petaluma Seed Bank is located at 199 Petaluma Blvd. North. Hours are 9:30 a.m.-5:30 p.m. Sunday through Friday. Call 773-1336 or visit rareseeds.com.